I promised my Cooking the Book posts would continue, so here we are with installment #4: The One Year Mark. My very first recipe on this cook through of Marcella Hazan’s Essentials of Classic Italian Cooking was her Bolognese sauce recipe, back on July 4th of 2014. So, this weekend marks my official “One Year” mark. Originally, back in the summer of 2014, a few friends and I decided that we wanted to try and at least 90% of the recipes of Essentials book over the next year. Obviously, I did not reach that goal. No one did. ::cue the sad trombone music:: We failed across the board. While it was a lot of fun sharing our experiences with the food and posting delicious pictures as we went along, a few people lost steam early on. Not everyone became as enamored with this cookbook as I did. 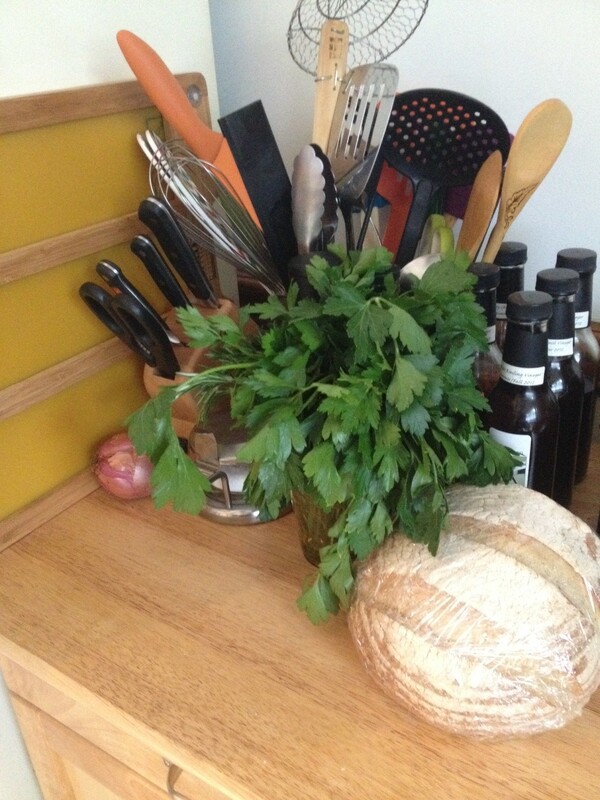 A few of us kept chugging along throughout the year though; turning out Marcella recipes weekly. But–even then–none of us reached that coveted 90% mark. And to that I say… Oh well! I know I’ve said it before, but I’ll say it again: damn near every single recipe I have tried in this book has been simple yet outstandingly good. There has only been one flop in the lot for me. (Sorry Anchovy Sauce!) Essentials has earned the nickname of “The Book” around our house (and in our family). I can say I’m making something, and my mother or husband will instantly ask, “Is that from The Book?” Marcella is the patron saint of Cole Kitchen and I look forward to another year of cooking through this fantastic cookbook. I wish I had more time to spend in the kitchen. As much as I love makeup, I think if I was offered the opportunity to switch up my career path and do anything else, I would likely be someone’s personal chef. I really could spend most of my hours tinkering away in the kitchen every day, trying out new recipes and feeding people. Half the time I want to cook things even when I’m not hungry, just to… I don’t know; create, maybe? To feed others. To make people happy. Must be my Italian genes. I just have a deep need to make people happy by feeding them. Anyhow; I digress. Lately, when I do have the time to cook, the noms I’ve been whipping up have been from Marcella Hazan’s Essentials of Classic Italian Cooking. Back in June, a few lady friends and I decided to challenge ourselves to a cook book cook though. (Original post and second installment, respectively). We are trying to cook at least 90% of the recipes in the book over the next year. However, given that I only average 3 recipes a week, it will likely take me far longer and I’ve become okay with that. I don’t have any intention of stopping until I hit that 90%! We’ve all been sharing our experiences with the food and delicious pictures with one another as we go, and it has been a great time. I’ve never been quite this enamored with a cookbook before (and I read cookbooks like novels). Damn near every single recipe I have tried in this book has been pretty simple, yet outstandingly good. It has gotten to the point where I can tell my husband–a terribly picky eater–that the meal’s recipe is “from The Book” and he instantly gets excited for it, no matter what it is. Marcella is quickly rising to saintly status in the Cole Kitchen, and I always look forward to seeing what new dishes become family favorites. I love sharing my cooking experiences almost (or maaaaaybe even a smidgen more) than my beauty reviews, so here I am; back with another collection of yummy images and musings on the recipes I’ve tried since! I don’t know how much you guys enjoyed my post regarding the Cookbook Cook Through my friends and I are currently doing, but I loved sharing it with you. 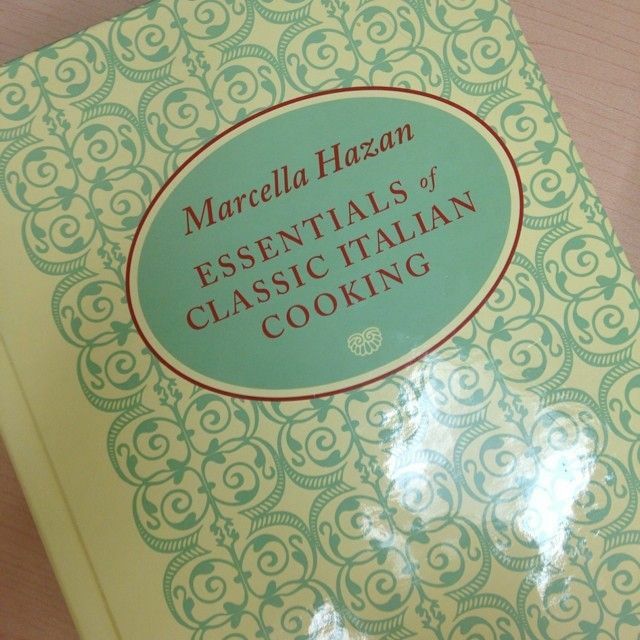 To recap, as briefly as I am able, a few lady friends and I are cooking our way through at least 90% of Marcella Hazan’s Essentials of Classic Italian Cooking over the next year. (Given that I only average 3 recipes a week, it will likely take me far longer, since I don’t have any intention of stopping until I hit that 90%.) We’ve been sharing our experiences with the food and delicious pictures with one another as we go, and it has been a great time. It has gotten me excited about cooking again. I love to check in every morning and see what awesome dishes my friends are cooking up, and they inspire me to choose my next kitchen adventure. (It doesn’t hurt that I haven’t had a single bad recipe from this book yet!) While I’m still not in the kitchen as much as I like (being far too frazzled on most weeknights), I’ve been making a conscious effort to cook at least one new recipe on each day I’m off from work. It helps that all of the recipes have been good–most are outstanding and even the few that didn’t wind up suiting our tastes were still tasty and completely consumed (rather than being terrible disasters that wound up in the trash). I don’t know of any other cookbook that has yielded up such consistently tasty results, at least not in my collection! So, here I am; back with another collection of yummy images and musings on the recipes I’ve tried since! So, today I’m breaking away from the usual beauty-related post and touching on another important area of my life: cooking and awesome friends. At the end of June, I made a comment on my Facebook, that even once in awhile I would get the urge to cook my way through a single cookbook, Julie & Julia style. The outpouring of encouragement I received from friends astounded me. Then, that night, a dear friend texted me and said she was totally down with the idea. We picked a book, hatched a plan, shared the details with our close-knit group of lady friends, and the very next week the Cooking Adventurers were born: a group of eight culinarily crafty ladies determined to cook our way through at least 90% of Marcella Hazan’s Essentials of Classic Italian Cooking over the next year (or more, really; since I don’t have any intention of stopping until I hit that 90% no matter how long it takes me). We’ve been sharing our experiences with the food and delicious pictures with one another as we go, and it has been a great time. So. Would you like to see the delicious dishes that have come out of my kitchen over the past two months?